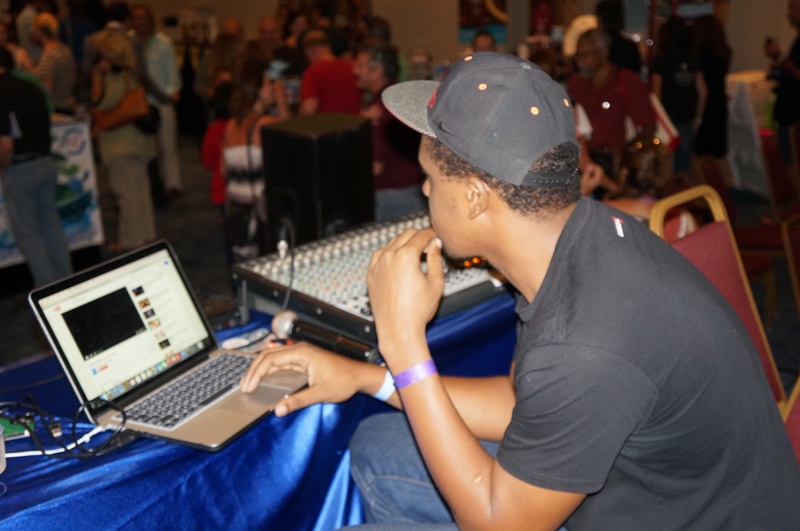 I’m not sure if you’ve noticed, but Caribbean Soul Trekkers really love to ‘get it in’ at Caribbean festivals. 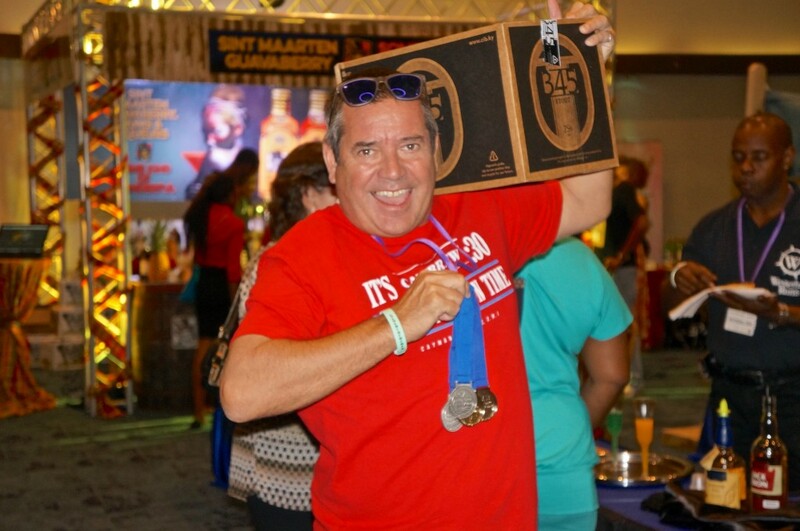 The opportunity to return to fun-filled Sint Maarten for two days of sampling the world’s best beers and rums with rum enthusiasts and experts, fellow bloggers and fans made this trek a no brainer. 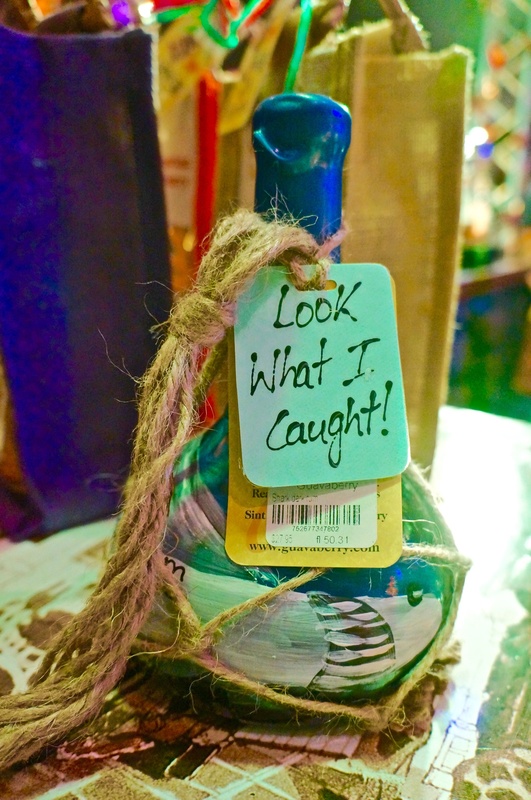 We loved that this was a boutique rum and beer event. 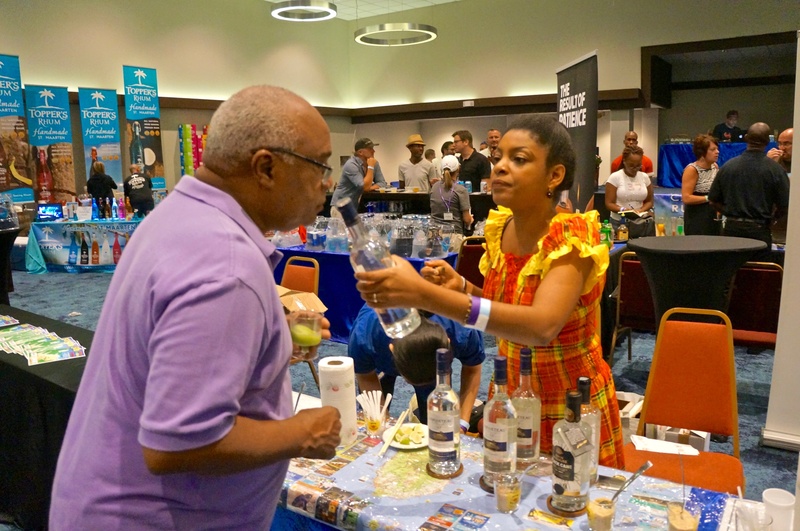 Interactions between exhibitors and festival goers were unrushed and unscripted, encouraging tasters to linger a bit longer while learning the story behind each product and its creators. 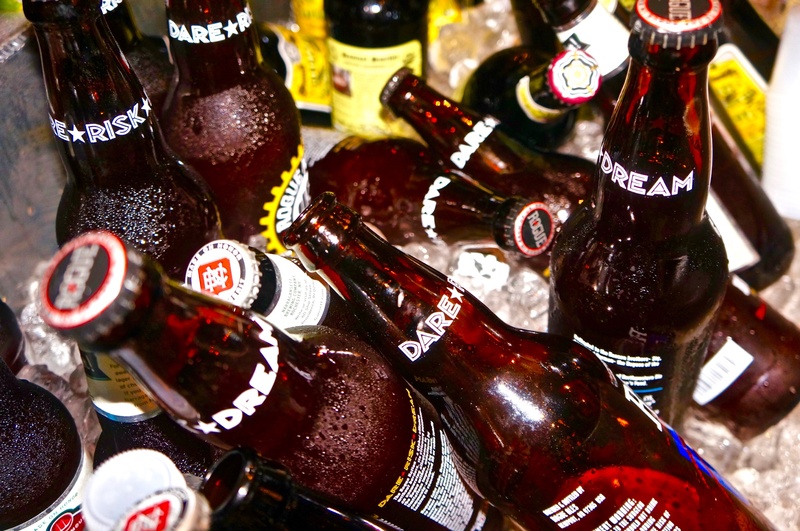 Samples of rare and unique rums and distinct craft beers flowed at table after table. 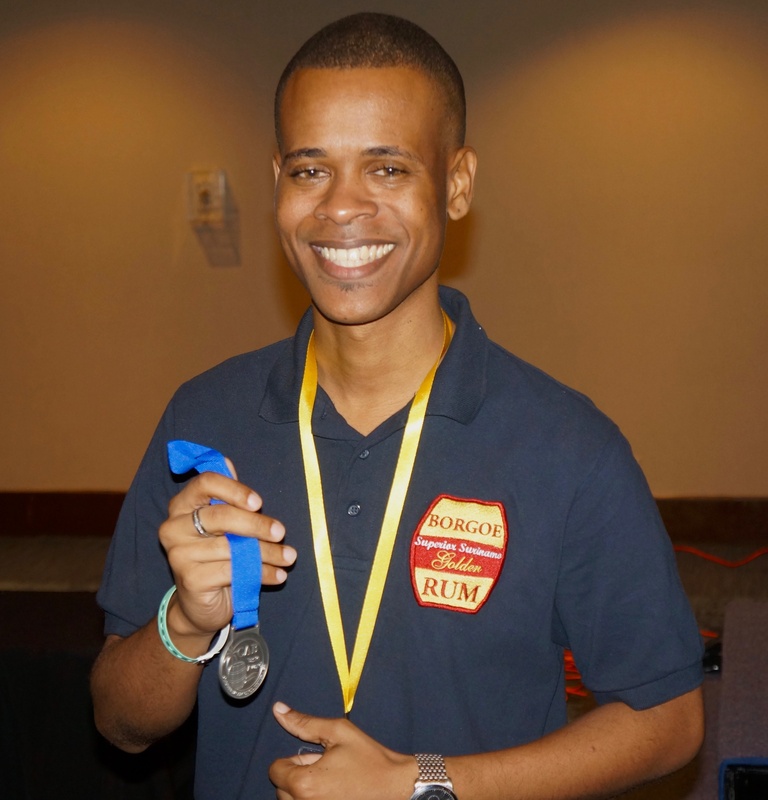 Along the way, guests were approached by a cheery representative from Sint Maarten Guaveberry offering a tray of flavorful Rum cocktails dreamed up by the brand’s bartender, Kevin. 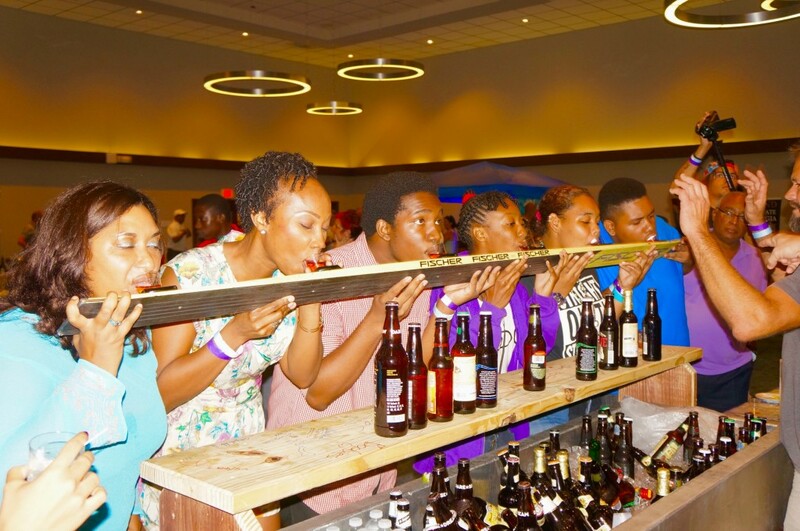 Thanks to the indoor venue, lively Caribbean soundtrack and charismatic event organizers, this rum and beer festival took on a vibe that was intimate, casual and light. 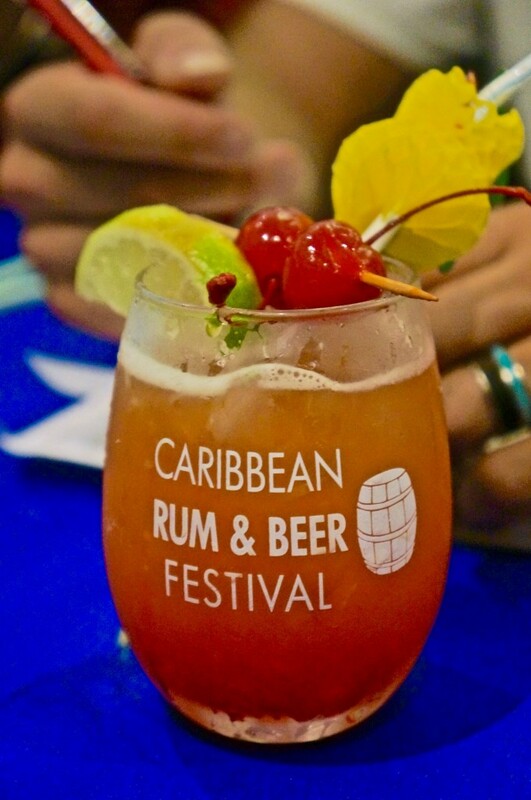 Day One’s line up included a performance by a steel drum band, the preliminary rounds of the Cocktail Wars and Master Classes on drinking, mixing and cooking with rum and beer. 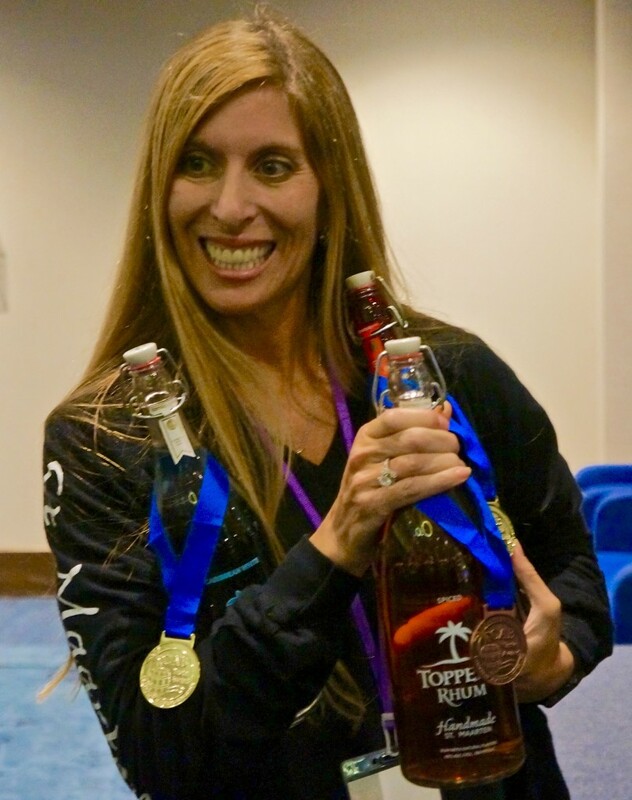 In between sips and snapshots, we fawned over Sint Maarten Guavenerry’s Passion Fruit Rum and Caybrew’s special edition Mango Tango Beer, got the scoop on new goings on at Topper’s Rhum (did somebody say Topper’s rhum cake? ), and enjoyed an entertaining Master Class on the history of daiquiris presented by Bahama Bob (I even got to assist with that one). It was a great start to the festival. By Day Two, the festival took on an even merrier tone. 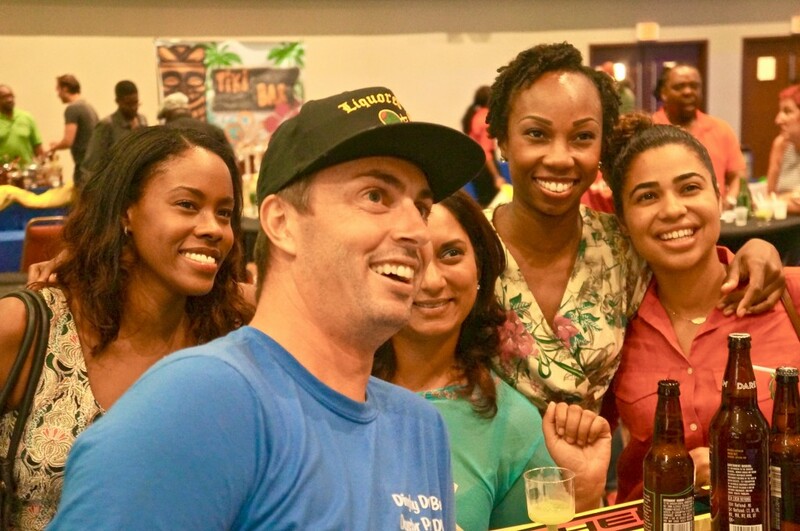 While the DJ provided another awesome mix of soca and reggae, guests quickly reconnected with familiar faces and favorite beverages then strolled through the room sampling others and swaying their hips to the music. The sound of laughter pierced through the music every few minutes a Master Class was running as guests were entertained by a new set of rum and beer inspired learning. For those who couldn’t find happiness unless some retail therapy was involved, there were enough rums, treats, hot sauces, spices and crafts on hand to justify missing out on that infamous St. Maarten shopping for at least an afternoon. The only dilemma was figuring out how to balance shopping bags with another sip of something delicious. Midway into the festival’s second day, we accepted that all good things must come to an end. 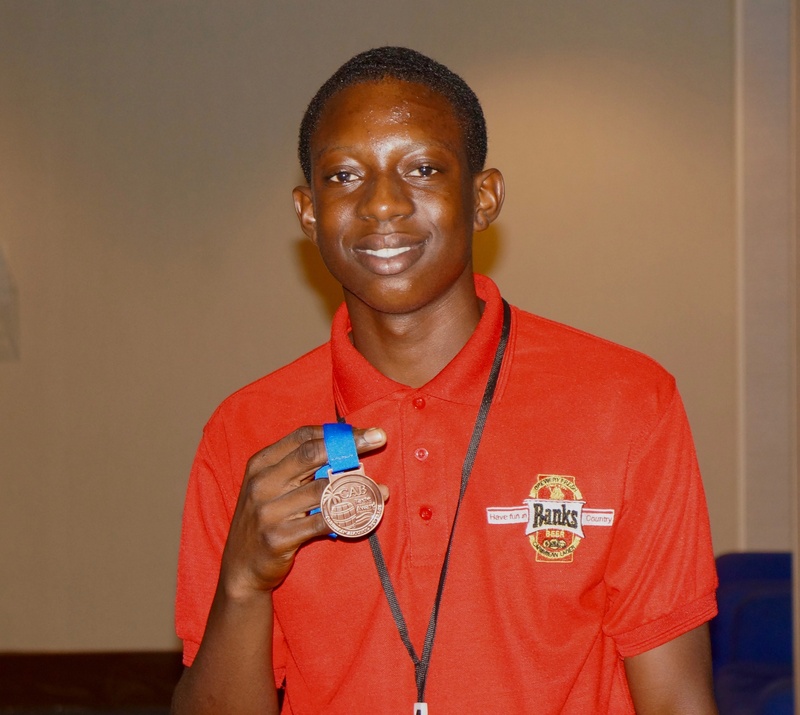 But before coming to a close, the festival ramped up with three standout events. 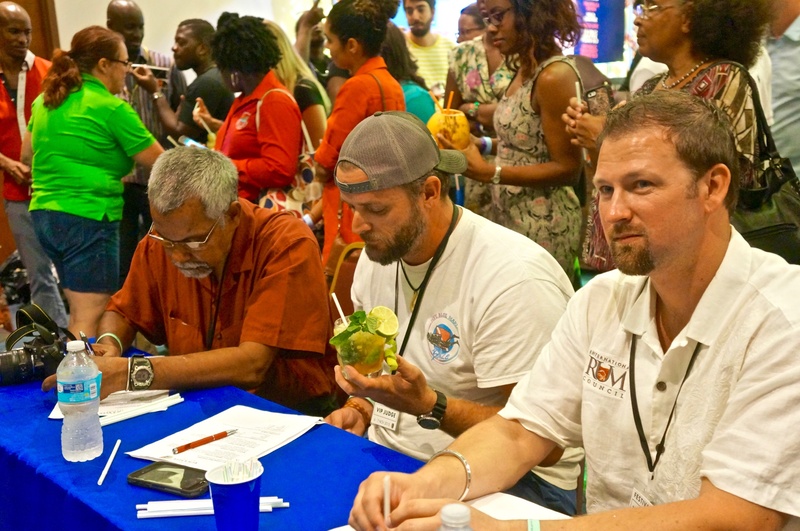 First, there was the high-spirited Caribbean Alcohol Beverage (CAB) Taste Contest Awards Ceremony. Receiving a coveted title inspired some exuberant winners to jump up and kick their heals in the air. Our good friends from Topper’s Rhum (remember this post?) 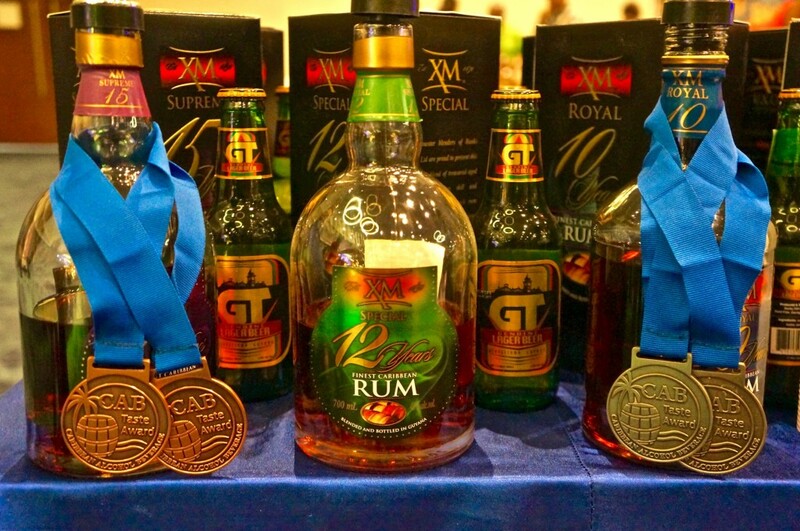 won medals for their white rum, flavored rum and spiced rum. See below for full results then check out Rum Connection’s link here. Next came the fast and furious final rounds of the Cocktail Wars. Mixologists representing Blue Waters, Sint Maarten Guaveberry and Topper’s Rhum flipped their shakers in the air and served up daring drink combinations finished with the flair of pineapple drinking cups, tropical flowers and even a cool magical mist. Blue Waters faced some stiff competition but emerged the winner. The festival finally ended in perfect fashion with an impromptu Caribbean house party of sorts. Exhibitors, event organizers, rum judges and guests all broke out in dance, hips swinging, arms waving and laughter filling the air. As we jumped in the conga line and turned its last corner we knew this Caribbean Rum & Beer Festival would be one to remember. 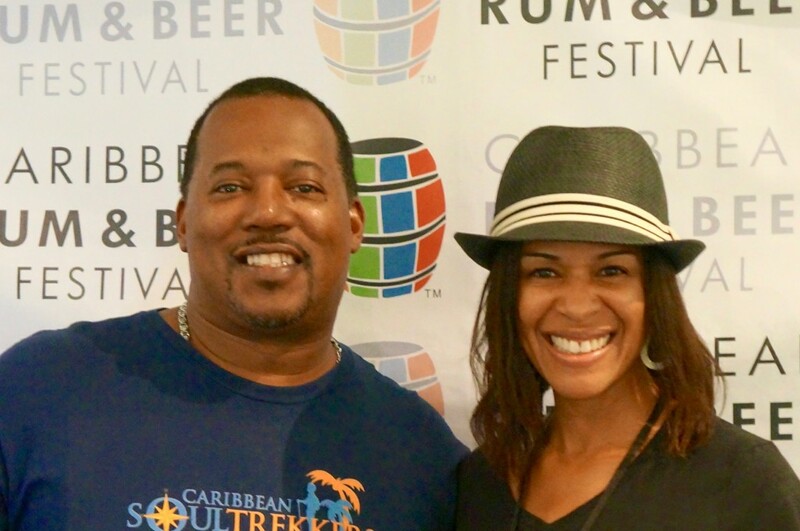 Thanks to Cheryl Colymore and the gang at the Caribbean Rum & Beer Festival for putting together this great event. We’ll certainly be back in the future!